How’s your marketing? Are you getting enough inquries? Are you booking enough weddings? Is your marketing regular? Is it a habit? 12 weeks of marketing. Over 80 lessons. More than 200 ideas, tips, questions, and action points. More marketing knowledge than you could ever find in a single resource, spread out over a 12 week period, helping you form a marketing habit. 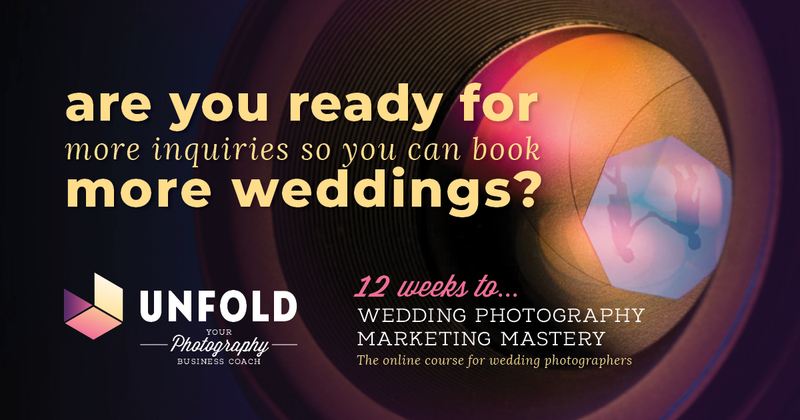 An online course that should energize your wedding photography marketing, and hopefully make your marketing into a regular routine. More leads, more inquiries, more weddings. That’s our goal for your photography business.